Picasa Web is one of the world’s most widely used Cloud application provided by Google to store, retrieve and share your pictures anywhere on any device. But when it comes for Android device which is also powered by Google should have some benefits. Yes, now you can Sync your Picasa Web Album to your Android devices so that you can upload, share and view picture and videos from your Android device itself. Here we will explain in a step-by-step procedure of doing it. 1. We are using Samsung Galaxy Tab here to demonstrate but our procedure is the same for all Android Devices. 2. We are using UPPER CASE letters below for making User-Readability efficient. Step 1: Hit the “MENU” button and then Open “SETTINGS”. 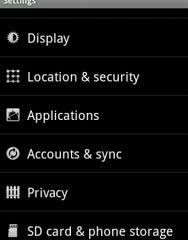 Step 2: Scroll till you come across “ACCOUNT and SYNC” option and select it. Step 3: You have already set your Google Account during the time of your Android device initialization, so you should now see your Google Account listed there, and do press it. Step 4: On the following entries search for “SYNC PICASA WEB ALBUMS” and make a check on the checkbox, if it is not already checked. It will take up few minutes to complete the process of Synchronization to your device. Step 5: That’s it you have done with Synchronization of Picasa Web Album with your Android device and you can find all your images being imported in “GALLERY” Folder available in the Gallery Application on your device. Now you have got a special power of Uploading, Sharing, Managing from the PC’s Browser or even from the Browser of your Android device and with the help of Google +(Plus) Account. Exploit your power to the Web World. Let your friends know your powers powered by Google. I don’t have that option in my sync menu. Any ideas? That’s so strange, it must be there. 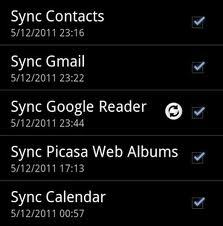 I’ve just checked with my device and there is also the option Sync Picasa Web Albums there. What options appearing in your list? Books, Contacts, Reader, Gmail, and Calendar. Oh maybe you are using Android 2.1 or 2.2, the feature is not available for those versions. You will need to upgrade to Android 2.3 or newer, I guess. I had to remove the gmail account from my android and put it back in to see it. also, try to upload a picture in gallery and if you see picasa, it might ask you to login, that might trigger the sync to picasa option in sync and accounts. I’m only able to see the public albums on my phone (samsung xcover GT-S5690, android 2.3.6). I’m having some private, and some hidden albums, why can’t I see them? everything is set proparly but its not syncing, any idea why??? i tried to do it with drop box working just fine but i would rather use picasa. any sugestions???? i have galaxy s2!!! Thanks for the info! :) have a nice day!